We Have boxes available for your local San Antonio Moving or State to State move. Most customers will prefer to do their own packing and unpacking because this can save a great deal of money. Every move is going to need boxes and packing supplies, we offer for sale a complete list these items. We also offer free delivery and discounts on orders of $50.00 or more. 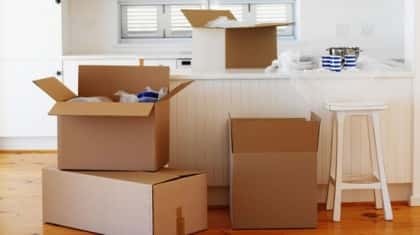 For the most part you will want to pack most items in either the small, medium or large size boxes, do not use extra large boxes for anything other than lightweight items such as pillows, otherwise the boxes become too heavy to move. It is important for your move that everything that needs to be packed is already in boxes when the movers show up. This will save time for the movers and money for you. Please take a look at the list of materials and let us know how we can help. Rope 3/16” x 50 ft. Please check with our company on materials available for purchase. * If possible, use boxes designed for moving. Boxes obtained from your local grocery store or retail stores may be damaged and often are not strong enough to safely hold your belongings. Copyright ©2019 Texas Best Movers. All Rights Reserved.